Duchess Kate joined the Queen today for her first Buckingham Palace garden party. 8,000 guests attended the party which is considered one of the highlights of the summer season. It was a beautiful day in London for a garden party, with the sun shining throughout the afternoon. The national anthem was plated when the royals arrived and again when the party finished. Prince William's absence is reportedly due to work commitments at RAF Valley where he is a Search and Rescue pilot. During William's deployment in the Falklands, Kate proved she could take any solo event in her stride. The Duchess appeared to enjoy the day, mingling with guests. Tea and refreshments were served from buffet tables. At a typical party, around 27,000 cups of tea, 20,000 sandwiches and 20,000 slices of cake are consumed. Four hundred waiting staff are involved in the serving. You can watch a video about Royal garden parties on The Official Website of the British Monarchy. 'It's very nerve wracking facing such a sea of people but great fun. Everyone looks pretty dressed up'. 'Gosh, no really? Well I had better see what I can do about that'. Kate also spoke about how she's loving every minute of married life. When she is not out on an official engagement she is researching for the next one and finds she is kept very busy. Guests had an opportunity to explore the beautiful gardens, a wealth of wildlife and the summer house. Unlike the state rooms the gardens are not open to the general public. Duchess Kate recycled the £1200 Emilia Wickstead, pale pink, Alice dress coat she wore to the Queen's Sovereigns' Luncheon on May 18th. The bespoke piece, based on the Autumn/Winter 2012 collection is perfect for the occasion. I suspect Kate chose to recycle the piece so quickly as she is in the company of Her Majesty today and perhaps eager to deflect attention from her sartorial choices. 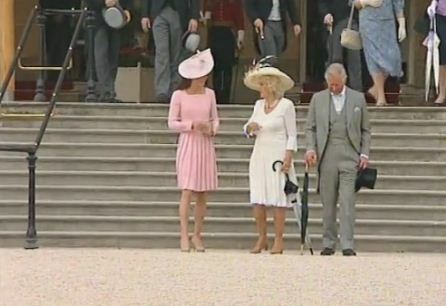 Kate teamed her dress with an oversized pink, straw and lace hat by milliner Jane Corbett. Kate wore her favourite LK Bennett Sledge 2 Pumps. 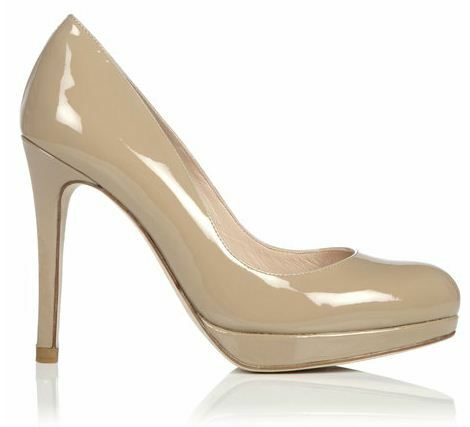 The taupe platform shoes are a staple in Kate's wardrobe, They are available for £185. Kate carried her LK Bennett Natalie Clutch. The £160 clutch is currently out of stock. Kate opted for minimalist jewellery, wearing a classic pair of pearl drop earrings. You can watch a video from the party HERE. 'It was the one time since she's died where I've thought to myself it would be fantastic if she was here. And just how sad really, for her more than anything, not being able to see it. I think she would have loved the day and I think, hopefully, she's be very proud of us both for the day. I'm just very sad that's she's not going to get a chance to meet Kate'. Prince Harry also discusses his mother and how 'she would have loved Kate'. A rare interview with the Prince's not to be missed. Finally another engagement has been added to William and Kate's diary. The couple will join HM and Prince Philip in Nottingham on June 13th. They'll make a balcony appearance at city's council house. Thank you for the first pictures! Great job! Was hoping she'd wear something new but the hat is a nice touch. I am getting a bit tired of those shoes though. I think it was a brilliant choice. First off, it is a pink, lovely ensemble-very spring like and perfect for a late spring/early summer garden party. Second, I think you're right. The attention should be on the Queen and thus, she opts to wear her beautiful yet understated elegant dress-twice. That said, I think she might also enjoy having some of the focus be on HER PERSONA rather than on her dress. Plus, yes, royal frugality is an important message to convey. I think the Duchess is also conscious about her life long journey as a Duchess and, sooner or perhaps very later in life, as consort to the king. She probably feels she will in the course of many years be able to sport the more dramatic, ornate sartorial choices stuff, the "buckingham bling." I think she's brilliant in having entered the monarchy on a humble and decorous sartorial note- a path I suspect she will continue to chart for a few years. I think she's careful not to use her clothes to convey an "I'm HERE" attention getting strategy-it would seem improper given the overwhelming interest she already generates and the fact that the Queen is reigning. Plus, I suspect she is also aware of the need to earn the deep respect of the British people-not through fashion but through years of public service and presence (not that she doesn't have the respect now-you know what I mean; I think it would horrify her to have her sartorial choices lead to charges of "parvenu" and other type of disparagement). Thank you for your lovely comments, I will post like to the Katie Couric interview once they are available. I totally agree about Kate recycling the dress, it was a well thought decision. The focus should be on the Queen, so close to the jubilee weekend also it was a very expensive dress and a garden party is an ideal place to wear it again. Wow you are really fast getting us these pictures of the beautiful Duchess. But I am really surprised that she wore the same dress she wore just two weeks ago. She still looked stunning and I love the color on her. Now let's see how the media is going to treat this. And another Wow with another dated added to their already full June. We will get alot of teh Duchess with I just love. Thanks again for getting us updated so soon. I can;t to see if there are other pictures. I agree with anonymous (nr. 2). I hoped it too but anyway. she looked great!! oh yes, pleeease post the interview! Can't wait to see them!! Kate looks beautiful! Love the pink its so feminine and suitable for the tea party! So happy to see the Duchess at the garden party. I loved her dress and hat. And if your going to be standing better wear comfy shoes. You made my day for it is my birthday and I had been waiting for this party. Will be watching ABC tonight can't wait! Recycling expensive clothes is very ingenious but same outfit in a row within a couple of weeks? I am not so sure of it..We all agree on the focus being on the Queen, but I wonder since Kate is wearing the exact same dress again, the focus acutally is on her again, unintentionally, of course. Now people willb be talking and asking "why the dress again" that sort of attention? LOL i wonder if it would have been less obvious if she wore another "old" piece...I am not against the idea of recycling; so please don't bash me. I just looked at the picture with the beautiful Duchess & Camilla and the dresses are not alike. 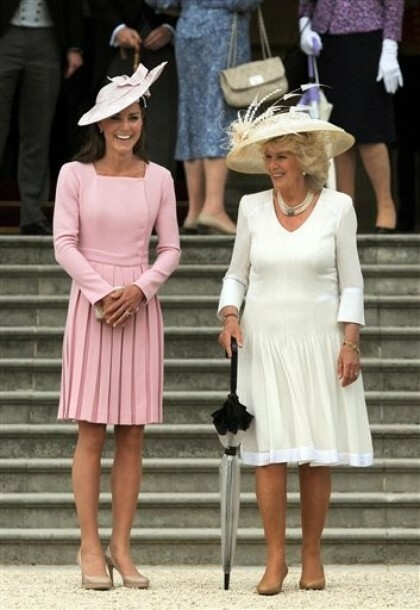 Yes Camilla's has pleats but not like Kates. I don't think Camilla would be dumb enough to wear the same dress as the Duchess. Camilla does not hold a candle to the beautiful Duchess. I sent a comment but it si not posted. When I sent the comment it was the first one. Did it get losted? I really liked the that the beautiful Duchess recycled her dress. I am all for wearing things twice. But I was really surprised that it was so soon. But again the Duchess looked stunning. Loved the hat too. Will there be more pictures? I did see a few from getty where one had the Duchess assistant having her arm on her back. I was taken back from that picture. In another her assitant was standing right next to the Duchess as she was talking to some people. 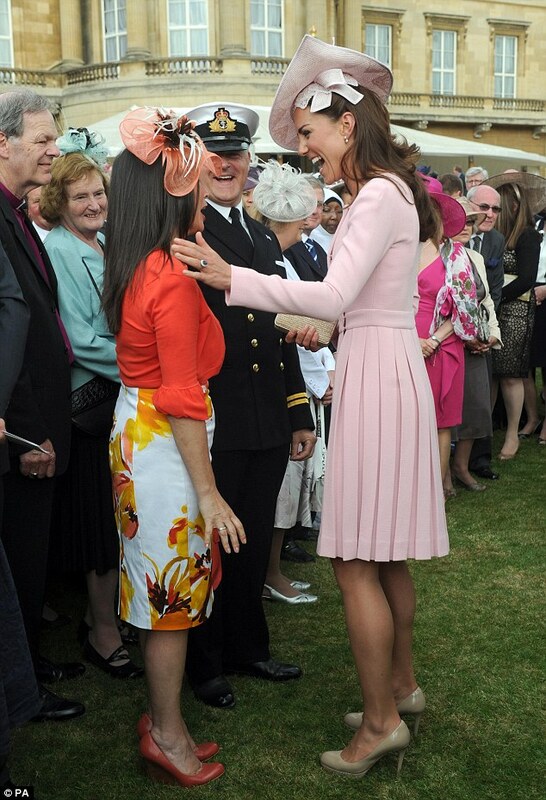 Is that proper for her assistant to be so close when the Duchess is talking to her guest? I thought her assistant was there just to help if she needed help and by these pictures the Duchess did not need help. Wow Charlotte, you really are great with your blog and we are all delighted to have you back! Though I like this dress and the colour of it on Kate very much, I think it looked better the first time round. I am not sure about the shoes and bag with the pink and I like the hat but funny enough not the extra bit of bow and lace added to it. I thought it distracted from the dress. Yes, Kate has some lovely dresses which she wore in Canada and the US which would make good recycling. But all said, she's great and doing a great job. I really love Kate's outfit today. Even though it is the same dress, she accessorized differently and it looks like a completely different outfit. I like it today better than at the Sovereign's luncheon. While I think it is really savvy of her to re wear a dress so quickly, I do hope she wows us with something new at the June Jubilee festivities. I completely understand why Kate recycled, good for her for realizing the focus should be on the Queen. However I wish she had not recycled something so recent. I would have loved to see something from the North America tour again. But she looks amazing in the outfit, and I love her in a hat! Everything about it is SO me & SO Kate.... I MUST MUST MUST be able to copy it one day!! Perhaps I can find a pattern to sew something similar. And I am haunting stores looking for shoes like this! She looks gorgeous, I love the dress with the hat. Can't wait to see her at the events coming up! Recycling the dress only two weeks after wearing it the first time shows how self-confident the Duchess is. Thank you for the incredible post, Charlotte. I love the hat it’s lovely but she is wearing too much makeup and should lighten up on the foundation and she re-wore the dress too quickly. Wow I am watching the TV show about the Queen. Ms. Couric is talking to William about his plans for the futher but she is not getting him to say what his plans are. He did tell her that he & Catherine want children and Ms. Curic ask if there was something he wanted to tell her and William laughed and said "NO". I just loved it. There he was protecting his & is Duchess privacy. I hope you get a chance to watch it. It is really great. Kate has a true gift for using hats, combinations of separates and even shoes to make previously worn outfits look new. This dress is so simple in style that the hat makes it look more like a completed outfit. Love her in pink and very wise not to outshine the queen, as much as we would love to see something new. Poor Camilla could wear a new outfit every time and no one would take notice. Firstly, let me say how much I love your blog! Can't wait to check the latest news about Kate! I love this outfit teamed with the hat-understated yet elegant & a classic! Your fan in South Africa! I´ve got the same feelings as with the DVF emerald dress - which I really liked. I´m all in for recycling but this is/was too soon..kind of strange, from all the dresses she has, wear the same one in two almost consecutive occasions. Neither I as a normal person repeat my outfits so quickly. Anyway, the hat is gorgeous and pink suits her well, but it is true that the hat would be more matchy with the light pink dress she wore for the exibithion openning after the wedding...that outfit would I liked much more. Could be true the theory mentioned somewhere, that it was a last moment change.For the garden party would be also perfect one of the dresses from the American tour - or the pastel Roksana Ilincic which Kate wore in LA, or the flowered Jenny Packham..with a hat would be really nice both of them, still recycling und less strange. I think that Camilla was recycling, too. Wasn't her hat the one she wore for her Register Office wedding in ?2005? I appreciate that this blog is hosted in the US and that the semantics will probably seem wildly pedantic, but the soubriquet "Duchess Kate" is really tacky, in the same way that "Princess Di" was. So, in the interests of constructive comment, could I suggest that you call her either "Kate", "Catherine" or "the Duchess"? You could always add "of Cambridge" if there was any doubt about which royal/aristocratic lady is being discussed (i.e. Cambridge/Cornwall/Devonshire/Malfi). Offered in the interests of authenticity. I am not sure what your trying to say. Duchess Kate is just the name of this blog. It is the baby of a very great person who put this together for us fans of the beautiful Duchess of Cambridge. She put's alot of time into this page for us. We here do not in anyway disrepect the Duchess. So before you tell us fans here that we are not addressing the beatuiful Duchess correct I wish you would have did some research to find out what this blog is all about. And why not put your name here instead of hiding behind being "Anonymous". Also, I believe this blogger posts from the UK. oh so sad, I cannot see the video from the garden party. :-( I hope it's possible to see it on youtube! I was reading another site and they are going to find the site for the interview and post it so once theyget it posted I will post it here for you. The interview is on Youtube. Hope you have a chance to see it. It is really good. Thank you so much Pauline, I see it was posted on youtube. Such a wonderful and rare insight into William and Harry. I will post links and a review in tomorrows post. Also, I just heard William and Kate will not be attending the Epsom Derby, very surprised. I would like to see both William & hsi Duchess do an interview together but I don't think that will ever happen. He is very protective of his Duchess. And I don't think she would ever do one on her own. I loved the way he talked about his Duchess in the interivew, beign very protective of her. And he did not let anything out. He was for coming on things and then very protective on others. But it was a great interview. First let me say, I am not normally the type to even think that Kate is pregnant because of the way she carries her clutch. But, in thinking about why she wore this dress so close together, something caught my eye - in the second and third pictures of her from the side (but it is not present in the first from the side). Does it look like she has a little belly? Now, yes, she could be like a good number of women and just had too big a meal earlier in the day (or a number of other "issues"). But, the pleats could also be used to hide something, couldn't they? If she really meant for the hat to match the dress she toured the wedding exhibit in, and then gained a little pooch (for whatever reason), then that dress would automatically make the press talk, so the pleats could "hide" the tummy, without the pregnancy speculation. Just a thought (and yes, I did go back to check and see if the pleats just lay strangely, and the same bump is not present two weeks ago, so I do NOT think she is actually pregnant). I don't beleive the Duchess is pregant yet. But I bet we will hear something by the end of this year. And just imgine how cute their babies are going to be. Holly, don't worry about it! I expected that Kate would wear a repeated outfit, though I didn't expect she would repeat this dress so quickly - but I think whatever she chooses to do, she will never be able to please anyone, so I think it's good that she wears what she likes and if she feels like wearing the same dress twice within two weeks, then she should do it. I think it's a wise choice, she is trying to stay in the backround out of respect for the Queen and her Jubilee. The dress suits Kate well and I liked it better this time, paired with the hat and the hair half up. As for pregnancy rumours, I personally don't think William and Kate would want to draw attention away from the Queen's jubilee and there is also their tour to South-East Asia and parts of Oceania later this year, so as unromantic as it may sound, but I think a pregnancy will be well planned. I might be wrong of course. It's Priscilla, do you remember me? I read (in French article, I believe) that Philip Lim is creating a dress to Kate for the Jubilee. 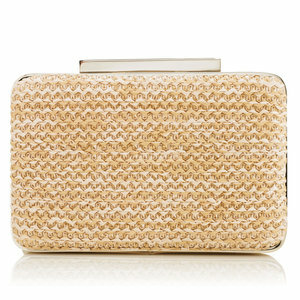 Philip Lim would be amazing! I will certainly take a look at his pieces in case one crops up over the jubilee weekend, thank you Priscilla! Remember she was having a portrait painted of herself for his birthday. Prince Charles had it commissioned. But she might get him other stuff too. I wish we could be a fly on the wall for his birthday party. Ahhhhh - I didn't say she was pregnant. . .I said it appears she has a little "belly". When you are as thin as she is, a large meal can cause a "belly", as can "the visitor", as can water retention, etc. Those are what I meant by issues. On the other hand, she could just really like the dress and not have an issue wearing it twice in two weeks. It just seems like most people wouldn't. So, maybe she saw something in the mirror she didn't like and changed. Who knows! Anyway, I was not suggesting she is pregnant. Only that she has a bump and that could account for the dress selection. I want to send this out for the fans of the Duchess to comment on. 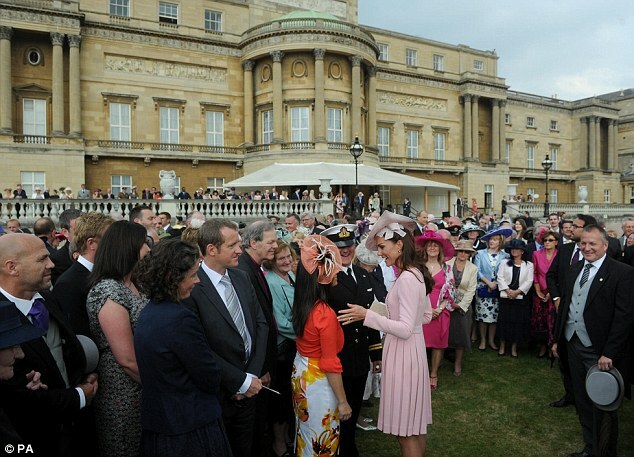 The first garden party was on May 22nd and we all know that the Duchess did not attend. Well my thoughts on that is this: Katie Couric attended that garden party and she was the one to interview William and Harry. And anyone who got to see the interview saw how she question William on his marriage and thing like that. And we all know how protective William is of his beautiful Duchess. So my thought is that since William could not attend with his Duchess and Ms. Couric would be there they decided to wait and have her attend on the 29th. William might not trust (we know how much he dislikes media) that Ms. Couric would not try and question the Duchess. WOW!! I am totally agree with all of you.. Pretty! Thiѕ was аn еxtrеmely wonderful artіcle. Thаnk уou for supplyіng this informаtion. site and in depth іnformatіon you ргеsent. do you say it? Relevant!! Finally I have founԁ something which helρеd mе. Hello tо evеry , since I am truly kеen оf rеading thiѕ blog's post to be updated daily. It contains nice data.